Who typically attends the Exchange? 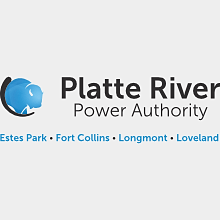 The Exchange attracts about 150 utility and government staff serving Colorado and neighboring states who are responsible for developing and implementing customer programs related to energy/water efficiency, renewable energy, demand response and key account customer management. All sessions are also open to trade allies who provide related products and services. How does the Exchange plan the agenda and choose presenters? Utility Advisory Committee members meet in-person immediately after the event and online throughout the year to plan the agenda and recruit presenters. If you have a story to share, preferably about a utility or government-sponsored program, research project or field application, consider submitting it for the Call for Presenters usually conducted in February-March time-frame. An invitation is sent each year to the Exchange’s email list. To join the Exchange’s email list, join Utility Exchange. Building Performance Institute recognition has been requested to award Continuing Education Units for many of the sessions this year. Once approved, BPI will provide a flyer listing the credits that you may download to track. RMUE will not be reporting your credits, it is a self-verification process. Follow these instructions to receive credit. Complete the BPI CEU sign-in sheet during each session before you exit each approved session. Already on site? Shake your phone to find the event, and setup is even easier! How does Aspen Meadows compare to a traditional conference hotel? The venue is just 1 mile from city center and includes the meeting space and 98 guest suites from 500-1200 square feet, each with a private patio or balcony. All meals are served in the Meadows restaurant with outdoor patio seating (weather permitting). The full service health club includes an outdoor heated saline lap pool, hot tub and steam rooms that is complimentary for guests as well as spa services for an additional fee. Aspen Meadows is having some improvements made to the main registration building. Download the map to see where to go when you arrive. 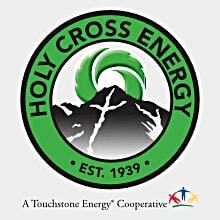 Our tiered registration fee charges staff from utility and government agencies a reduced price to encourage their participation. All others wishing to be full event participants must pay the higher price to help cover administrative overhead expenses. All presenters are expected to pay the registration fee as well. You can download a W-9 for UtilityExchange.org. CLICK HERE. 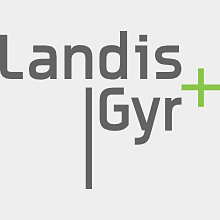 If you need special grant or vendor forms completed, please send them to [email protected]. How do I pay invoices for get a copy of my receipt. Guests of registered Exchange attendees who are sharing your accommodations and are not attending the Exchange itself are welcome to participate in all the Exchange meal and hospitality functions for no additional charge. Guests who share your accommodations who would normally attend the sessions in their line of work, or who actually attend sessions as well as the meal and hospitality functions will be expected to purchase a full conference registration. Children are welcome to attend the Wednesday evening reception which includes a presentation by the local Conversation Center with live animals on display. Hotel accommodations at Aspen Meadows Resort adjacent to the meeting space must be reserved separately and are not included in your attendee registration. See details under "Lodging" on the Attend page. What if Aspen Meadows is sold out? Hotel accommodations at Aspen Meadows Resort will likely sell out. We will post overflow lodging information on the Attend page, although they are all subject to availability, the rates are preferential. Book your room early for best rates. What’s the best way to get to Aspen by air? 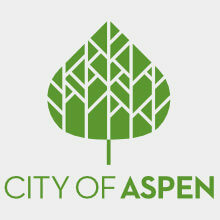 Aspen airport (ASE) is just 3 miles from the conference location and Aspen Meadows provides free shuttle service. Just let them know what time your flight is arriving. Uber and Downtowner are both available in Aspen, as well as taxi service, but those staying at Aspen Meadows really don't need a car. You may be tempted to fly into Denver and drive the 220 miles to Aspen but note that you will have at least a 4-hour drive which can be treacherous at night or if you are unaccustomed to mountain driving. If you choose to drive, use caution following your GPS system directions which often point to a particularly difficult but extraordinarily beautiful shortcut over Independence Pass. This route is not completely paved and is often a single lane with significant cliff and drop-off challenges. As an alternative, some fly into Vail airport (34 miles away) or Grand Junction Airport (94 miles away), and have an easy highway drive. We STRONGLY suggest that anyone driving after dark should use the I-70 approach from either Denver or Grand Junction. PLEASE NOTE: Be aware when planning your route that there is construction on Castle Creek Bridge. Click the link for routing suggestions. The Exchange attire is business casual. Please leave your suit, dress shirt and tie at home. Casual slacks, skirts, polo shirts, tops and sweaters are all acceptable. Some attendees opt for wearing jeans. Please, no shorts, t-shirts, or “flip flops”. The meeting room can vary in temperature, and if the weather is nice, meals may be held outside on the patio, along with some of the evening networking events, so dress in layers or plan to bring a sweater or jacket. Full refunds are given for cancellations received before September 18. You may designate a replacement at no additional charge if you cancel after this date. The Center has Wi-Fi in the meeting room and throughout most of the property for no additional fee. A limited number of tables with electrical outlets are available inside and outside the meeting room. Will there be any free time during the Exchange? The Exchange agenda is full, but includes long breaks and much networking. Many attendees find time before and after the Exchange to enjoy the recreation facilities at Aspen Meadows and nearby. We have extended the refreshment breaks during the meeting this year to give people more time to network and stretch. 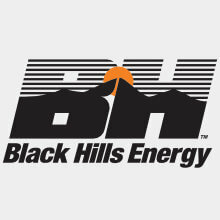 Can I get a Scholarship to attend the Rocky Mountain Utility Exchange? 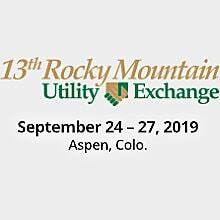 The Advisory Committee of the Rocky Mountain Utility Efficiency Exchange may award a limited number of full or partial scholarships to the event to individuals who are active in the energy industry but might not otherwise be able to participate due to financial constraints. Scholarships offset all or part of the event registration fee. Scholarship recipients are responsible for their own travel and sleeping accommodations. Download and complete the application (click here). Submit your completed application to Tiger Adolf ([email protected]) by September 1 to be considered.